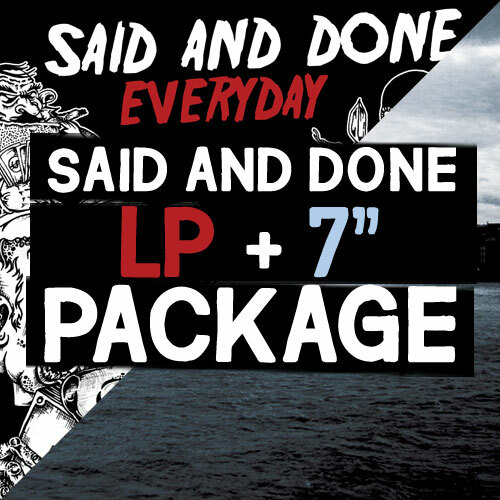 This package contains the “Better Days” CD or LP and a shirt of choice. Please specify which shirt you want in the comments and enter some extra options / sizes in case your first choice is sold out. 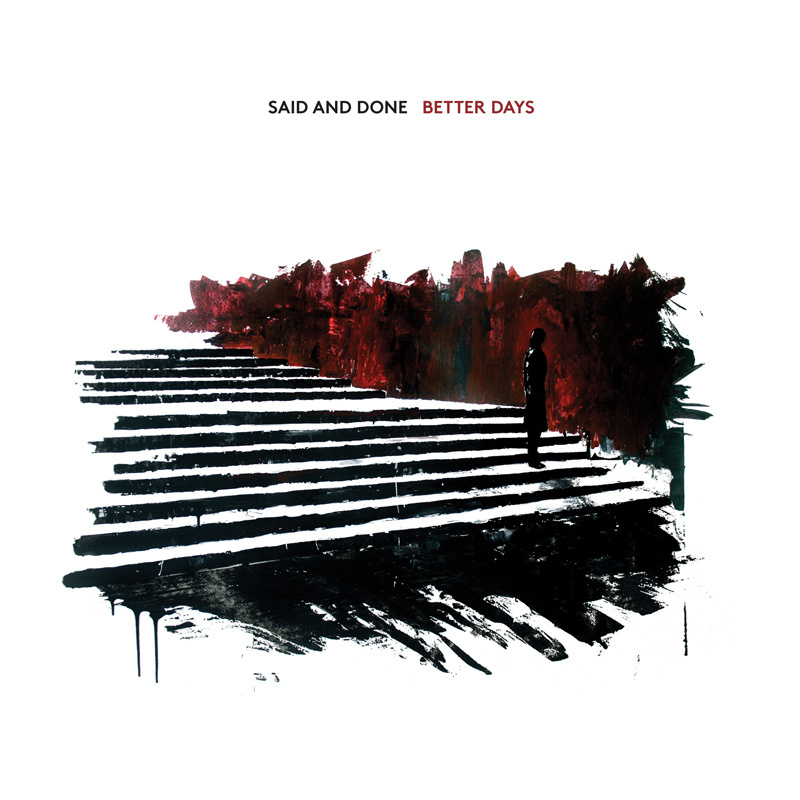 This package contains the “Better Days” full length, both on CD and LP (red / white vinyl if available, otherwise black). 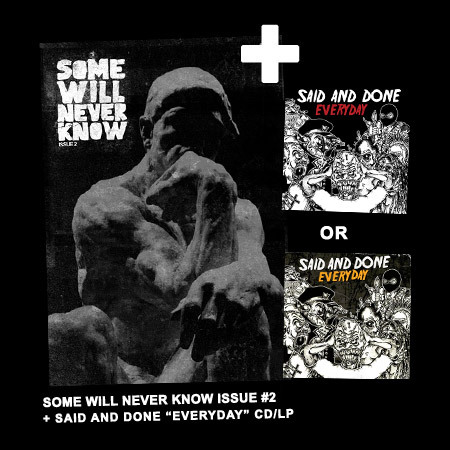 This contains Some Will Never Know issue #2 and the Said And Done “Better Days” CD/LP or “Everyday” CD/LP. 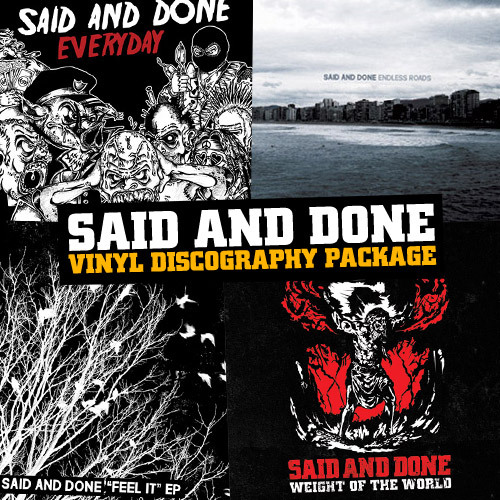 Please specify which record you want, and if you want the CD or LP in the comments! 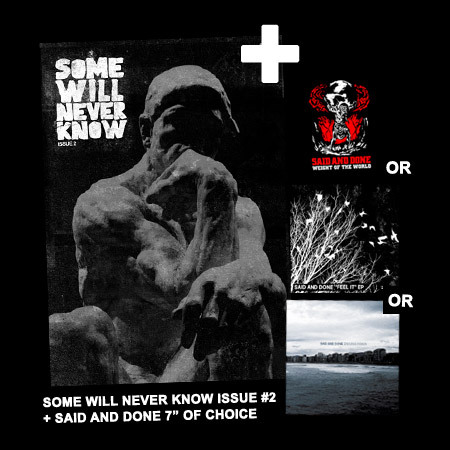 This contains Some Will Never Know issue #2 and a Said And Done 7″/MCD of your choice (“Weight Of The World” 7″, “Feel It” 7″ or “Endless Roads” 7″/MCD). Please specify which 7″/MCD you want in the comments! Save some money. 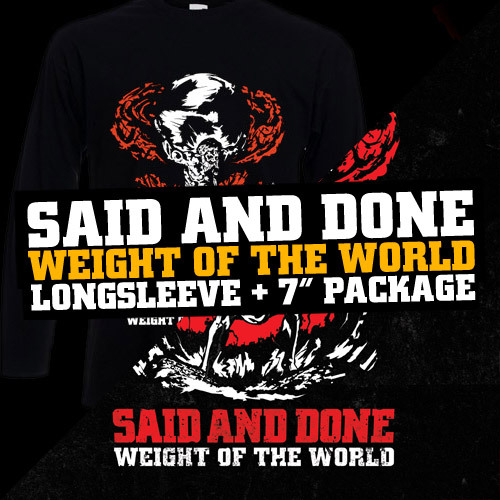 Weight Of The World 7″ + Weight Of The World longsleeve. Save some money. 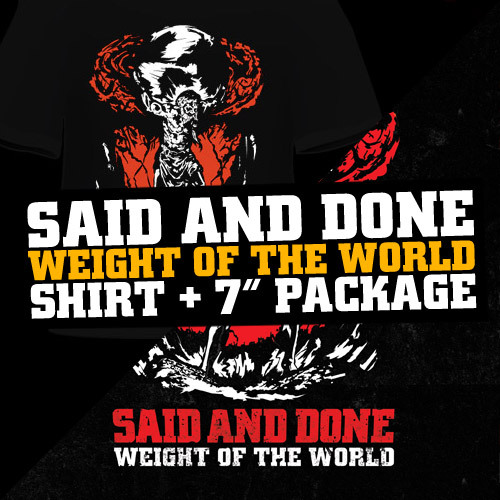 Weight Of The World 7″ + Weight Of The World shirt. Save some bucks. This package contains a 7″ and an LP. Specify in the comments which LP and 7″ you want, otherwise we’ll just throw in a random one. Save some bucks. 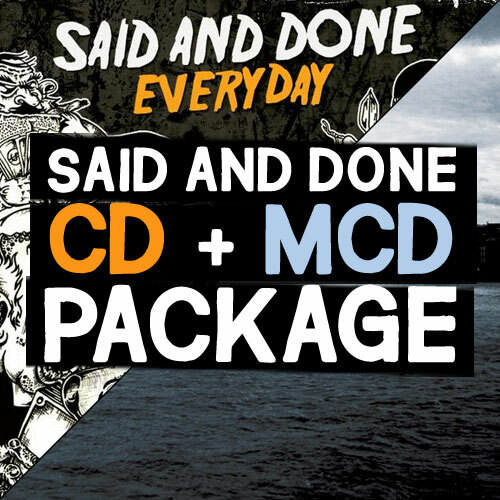 This package contains the Said And Done “Better Days” CD (normally 10 EURO), the “Endless Roads” MCD (normally 6 EURO) and the “Everyday” CD (normally 10 EURO).